The Youth Division of Salt Pump Climbing Company. Running throughout the school year, these programs offer a climbing experience that is non-competitive and serves as an introduction to climbing or a venue to advance existing skills for climbers age 3 and up. The team is for kids who are interested in advancing their skills through structured training and who want to compete in local and regional youth competitions. A great opportunity for your kids to experience climbing when there are breaks at school. They will learn and play in a controlled and friendly environment with skilled instructors. Real rock climbing happens outside! These week-long camps explore climbing and life skills with your K-6th grader. They will learn important skills like communication, risk management, and leadership. For an added dose of adventure, this combination of indoor and outdoor sessions give our campers an unforgettable summer! Host a Birthday Party or Overnight at Salt Pump! 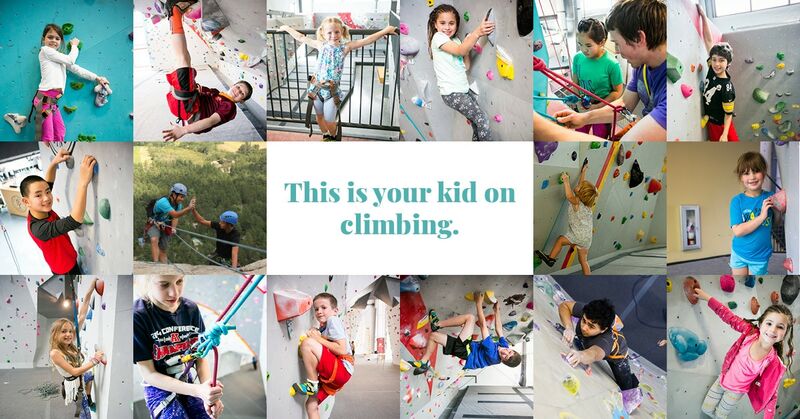 A fun option for your child and their friends to experience climbing. Salt Pump Kids youth programs are designed to provide young climbers the space to learn and grow in a supportive and inclusive environment. Our five-star staff personalizes every program to meet each climber at his or her own level while gently nudging them toward their true potential. We believe climbing is more than a sport; it can also be a vehicle to discover the values of teamwork, responsibility, dedication, and perseverance. And most importantly, it's really, really fun. "I love these people. So cool and accommodating. I have two children and they were awesome about introducing them to climbing."